Pattaya vs Phuket – Which Is The Better Destination? The Pattaya vs Phuket debate has been going on since people first started coming to Thailand on their holiday. Like most things, the right answer is subjective and there is no single best place in Thailand for everybody. A lot is going to depend on what you want to get out of your trip and picking the best location for you based on your expectations. In the following list, I’ve compared the key items that most people will consider when they are trying to choose between Phuket or Pattaya. This list is based on personal observation and experience from years of travel in and around Thailand. By the end of this article you should have enough relevant information to help you pick which location is best for you. Who Has The Best Beaches, Pattaya or Phuket? Being close to the beach is a big draw for choosing either Pattaya or Phuket as your destination. While both have excellent access to the beach, the beaches in both locations are not exactly created equal. Phuket has some of the best beaches in Thailand. Known for the white sand and beautiful water, it is a great tropical beach getaway. The main area of Patong has a long stretch of beach, which can get very crowded during high season. However, Phuket is a large island and there is more than one option for visitors. Patong, Karon, and Kamala are three of the main resort areas. If you want to get away from the mess of tourists in Patong, Kamala is an excellent spot to chill out and relax. In addition to the main beach areas, there are some smaller spots that you can drive to on the island. Laem Singh beach is very popular and for good reason. The beach is hidden away in a small cove without all the clamor of the beaches on the main drag. Plus the location looks like something you’d see in a movie. And the Phuket beach options don’t stop there. You can take a day trip to one of the many islands near Phuket such as James Bond Island or Ko Phi Phi. Both of these look like something out of a movie (probably because both of them were actually in the movies). If you plan on spending your time at the beach while in Pattaya you may be disappointed. The main Pattaya Beach is a tiny version of what it once was due to years of erosion. It is a tiny strip of sand just off of Beach Road. When vendors are allowed to place beach chairs out for rent, you’ll be lucky to find any stretch of sand left. In addition, the waters off of Pattaya strike me less than clean. You can watch the storm sewers deluge dirty grey water right into the water near the beach area. You do have some other options, either heading over to the beaches of Jomtien or Naklua/Wong Amat. Both of these places have significantly nicer beaches to relax and enjoy the ocean. If you want the tropical island feel and beautiful beaches, you are in luck. Ko Larn Island is 45 minutes away by ferry from Bali Hail Pier. These are the best beaches you’ll find in Pattaya. While the island can be crowded during high season, it is well worth the trip. But let’s face it. While you do have beach options, no one goes to Pattaya just for the Beaches. Both Phuket and Pattaya are major tourist destinations so you will have plenty of options for checking out the local attractions. Outside of the main draw of the Beach, Phuket has limited sightseeing but plenty of activates for you. You can make a trip to see the giant Buddha statue, Old Phuket Town, Wat Chalong and Phuket’s temples. The Simon Cabaret Show and Phuket Fantasea show are two good options for evening entertainment. Day trips are a big part of staying in Phuket. You can head over to Phi Phi Island, Ko Phangan, and James Bond Island. You can also set up activities like scuba diving and sea kayaking through some truly beautiful areas around Phuket. 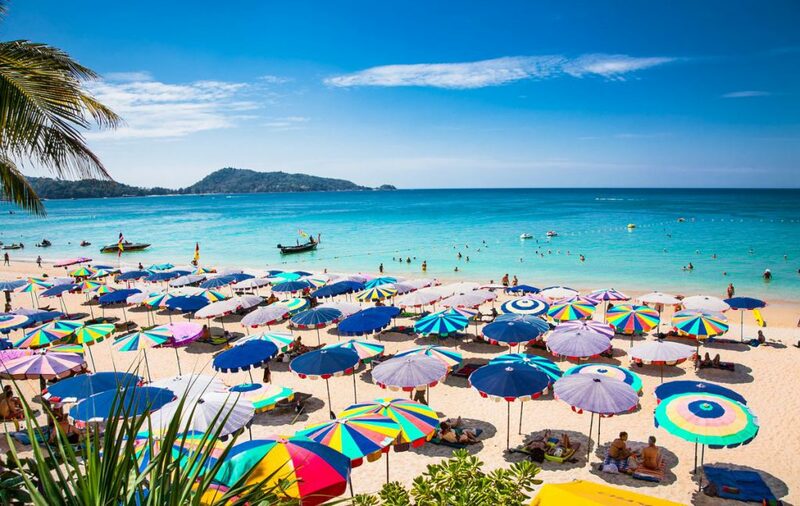 Phuket is a little lacking on tourist attractions and cultural activities as much of the activity is focused on the beach and island activities. There are a lot of things to do around Pattaya. A lot of them were built to entertain tourists, but they are well worth checking out and will keep you entertained for a days. 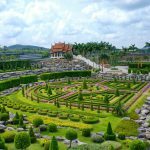 Some of the more popular tourist attractions in Pattaya are The Sanctuary of Truth, Nong Nooch Botanical Gardens, Ko Larn Island, Silverlake Vineyard, and Big Buddha Hill just to name a few. If you like cabaret shows Pattaya has three of them. 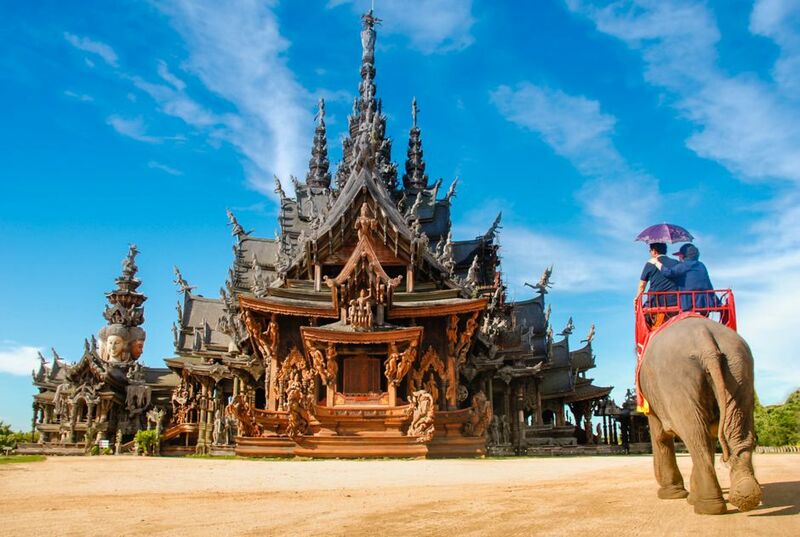 There are literally dozens more attractions in Pattaya. As far as activities you can go scuba diving, but it’s far from the best place to do that. Renting a jet ski (beware of scams) and parasailing over the beach. Both of those you can do at your own risk. There are gun ranges, ATV rentals, Muay Thai and cooking classes. Plenty to keep you occupied during the day in Pattaya. Many people are attracted to these two locations because of the nightlife. Both are known to have a dedicated party street with beer bars, go-go bars, and night clubs. The nightlife in Phuket centers on Bangla Road in Patong. The road closes at night to all but foot traffic as tourist mill up and down the road and into the side streets. You’ll find all manner of beer bar, disco, and go-go bars along this section of road. While there are other bars and clubs dotted around town, Bangla road is the epicenter of nightlife and doubles as the red-light district. Pattaya is one giant party zone with bars all over the city. There are several main areas including: Walking Street, Soi LK Metro, and Sois 6, 7, and 8. Walking Street in Pattaya is famous around the world and is as much a tourist attraction as it is a pickup place for girls and ladyboys. It’s been said that Pattaya is one giant red-light district and I’d be hard pressed to disagree. Most of the nightlife here involves the naughty kind. However for those tourists looking to have some drinks, listen to some live music, or dance the night away the clubs and beer bars welcome tourists of all sorts. 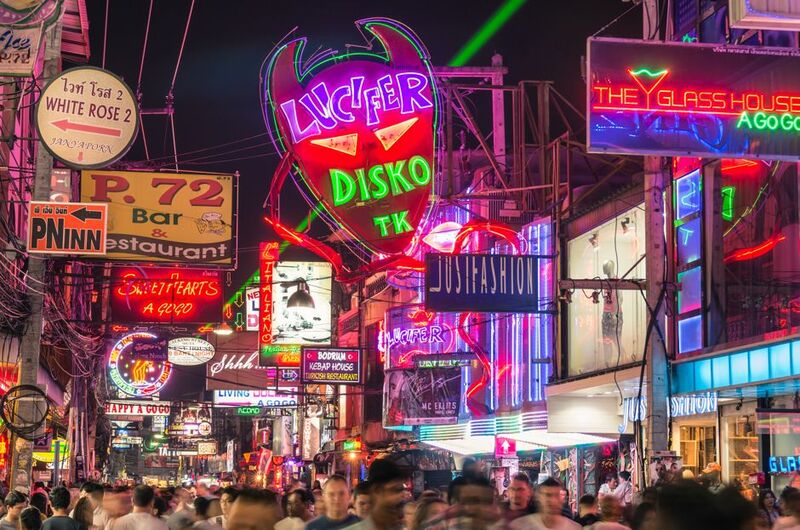 So, is the nightlife better in Pattaya vs Phuket? Whether you are there for naughty nightlife or just want to dance and drink yourself silly. Pattaya has many more options. It’s safe to say one of the main reasons people go to Pattaya is for the wild nightlife. 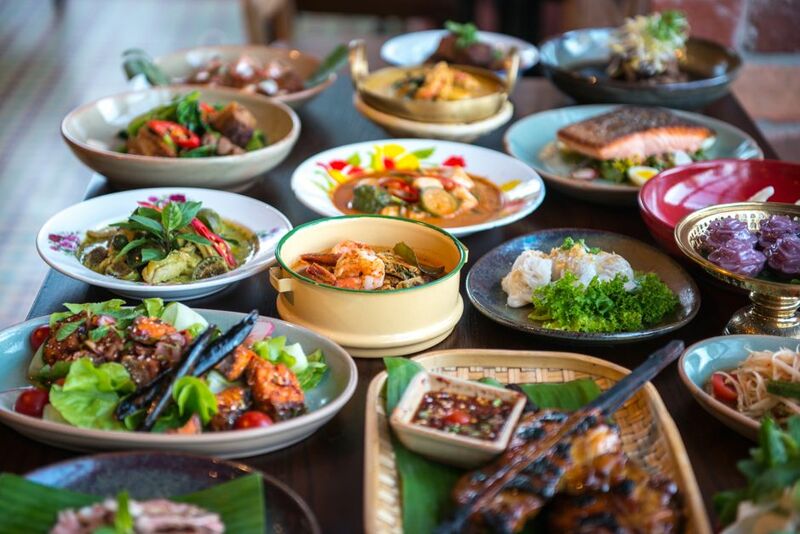 The food options in both Pattaya and Phuket are really good. You can eat at anything from a food cart to fine dining at a resort. Pattaya has a larger selection of options, but I don’t think you’ll find yourself limited in Phuket by any means. You’ll find a variety of food choices available, Thai, European, Mexican, French, Indian – the culinary choices are very diverse. If I had to give an advantage it would be Pattaya, but I think this one is a toss-up. If you need to do some shopping you can find whatever you need in either Pattaya or Phuket. They both have modern shopping malls, pharmacies, and an endless supply of 7-11 stores. Pattaya is a larger city and has more shopping options. The large and modern Central Festival is a great mall catering to just about any need a tourist has. In addition there are several other malls such as the Tukcom IT mall, Mike Shopping mall, and the new Harbor Shopping Center. And those are just a few of the malls, markets, and outlet stores available. Not to mention the hundreds, maybe even thousands, of small stores around Pattaya. Phuket has one main shopping center, the Jungceylon Mall which is also big and modern. And though you can get everything you might need while on vacation, Phuket just simply lacks the sheer number of shopping choices you’ll find in Pattaya. You will be spoiled for choice when it comes to hotels in either location. Phuket being a beach destination has a much higher concentration of high-end beach resorts and four and five-star hotels. There are fewer options in the budget to mid price range. Under $100 USD per night and you options thin out. And most are farther back from the ocean. You be looking at paying at least $100 at night for a nice hotel in a good location. Pattaya is the opposite. 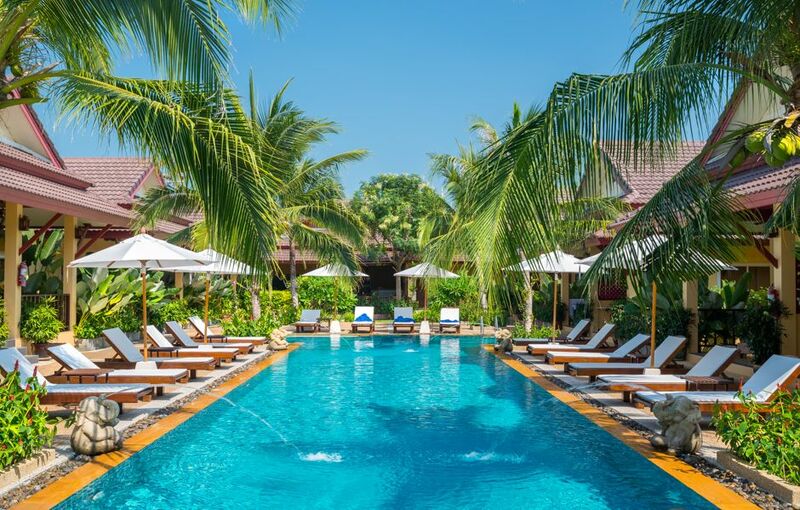 It has a limited number of 4 and 5 star hotels, and the majority of the available accommodation can be had for much less than $100 per night, usually half that. You can get a nice hotel, with a pool, in a good location for between $40 – $70 USD. There is also plenty of budget accommodations in Pattaya. There are hundreds of guesthouses around that don’t offer much in the way of amenities but are nice clean rooms suitable for those of tighter holiday budget. Most are not listed on the internet of booking sights like Agoda, but all you have to do is take a wander around town in your favorite area and you will have a ton of options to choose from. 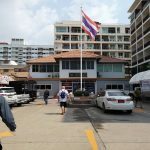 So who wins the Pattaya vs Phuket hotel comparison? It depends. If you are looking for a hotel in Pattaya check out our hotel guide. We’ll take a look at the average cost of getting to each destination, hotels, and average daily spend. Your budget will vary obviously depending on your accommodation, drinking, and nightlife habits. This is just for comparison purposes. Let’s assume for this example you have already made it to Bangkok. All prices in USD. Let’s see which one is cheaper. The total cost really isn’t that much different. Though Pattaya can be cheaper than Phuket, it all comes down to your spending habits. You can blow out your budget in either location. Which is cheaper, Pattaya vs. Phuket – it’s up to you. Cost Advantage: Pattaya gives you more opportunity for spending less, but you can do so in either location. It’s really up to how you spend your money. So, Which Is Better Pattaya or Phuket? I don’t think there is a right or wrong answer on this one. It comes down to personal choice and how you want to spend your vacation. If you prefer to spend your time on a beautiful beach, with some good nightlife, Phuket is probably for you. 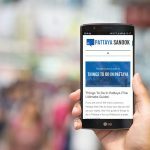 If you prefer your nightlife, sightseeing and don’t really plan on going to the beach, and don’t mind the (or prefer) the citywide red-light district, Pattaya may be right for you. But this is my opinion based on my experiences. Someone else may think otherwise. The Pattaya vs. Phuket debate isn’t going to end anytime soon. Just make sure the destination you choose is the right one for you and not the one somebody else tells you to visit.